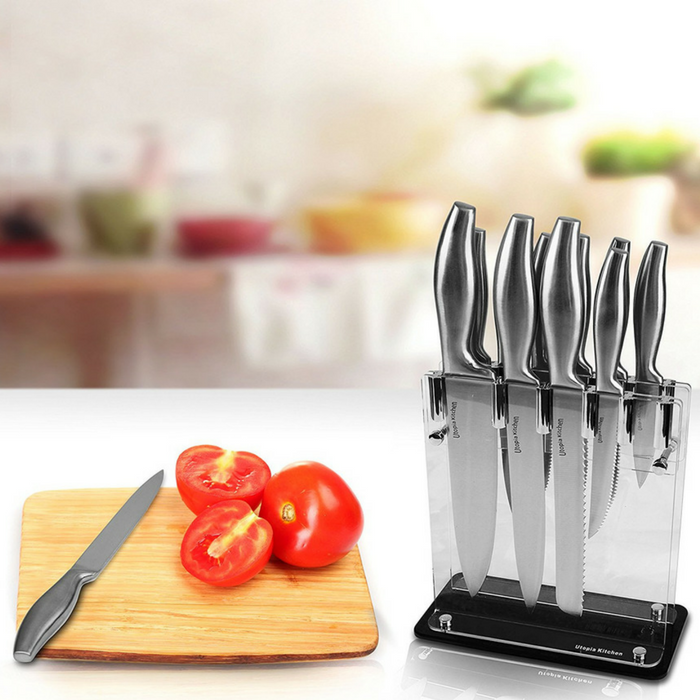 Utopia 12-Piece Knife Set Just $29.99! Down From $300! PLUS FREE Shipping! You are here: Home / Great Deals / Amazon Deals / Utopia 12-Piece Knife Set Just $29.99! Down From $300! PLUS FREE Shipping! For a limited time only! Head over to Amazon to get this Utopia 12-Piece Knife Set for just $29.99 down from $299.91 PLUS FREE shipping! For safe, durable, and quality blades that don’t dull easily, Utopia Kitchen’s Premium Quality Stainless-Steel Knife Set is your ticket to cooking with ease. For food preparation at your home or in the commercial restaurant kitchen, this knife set offers a complete range of kitchen knives and blades for all of your food prep needs. For cooking at your home or in the commercial restaurant kitchen, this knife set offers a complete range of kitchen knives and blades that meet all your food preparation needs!